Saturday, April 27 from 10AM-1PM. Volunteers will have dogs for adoption from nearby Hinsdale Animal Hospital where Help Save Pets house animals for adoption. Pet Co is at Route 83 and 63rd Street near Whole Foods. Looking for a kitten, cat, dog or puppy to add to your family? Help Save Pets will have animals for adoption at Pet Supplies Plus, 1791 Douglas Road, Montgomery on Sunday, April 28, 11AM-2 PM. The animals will be from nearby Oswego Animal Hospital where Help Save Pets house animals for adoption. 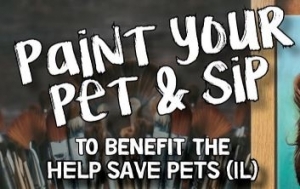 Help Save Pets has partnered with the Paint Your Pet and Sip for a fundraiser. You can go to https://www.paintyourpetandsip.com/events/to-benefit-help-save-pets for more information about this fundraiser and to register to participate. Tickets are $45. You have pets and your friends have pets. Why not go and have some fun! Raise some money for our homeless dogs and cats. Help Save Pets has partnered with the Paint Your Pet and Sip for a fundraiser. You can go to https://www.paintyourpetandsip.com/events/to-benefit-help-save-pets-2 for more information about this fundraiser and to register to participate. Tickets are $45. You have pets and your friends have pets. Why not go and have some fun! 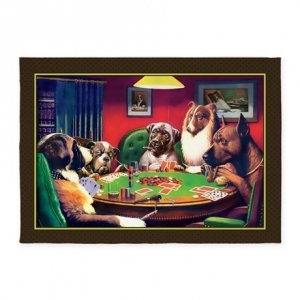 Raise some money for our homeless dogs and cats. 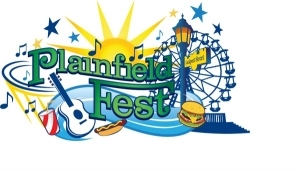 Saturday June 15 10AM-2PM,Prairie Paws Pet Adoption Event, Oswego, in conjunction with PrairieFest Festival. It will be outside at the Oswego High School on the soccer field. A great opportunity to visit with our volunteers and meet some of our shelter dogs enjoying the out of doors. We will have games for the kids and raffles. Hope you can join us for a fun day.